Civilization has seized the opportunities that natural systems, such as rivers, can offer for centuries. Rivers have helped facilitate travel by boat, their rapids can power mills and with their diverse ecosystems, they offer a rich and abundant food source. As years have progressed, we have altered these systems to better suite our needs. Changing the natural landscape, like removing fallen trees to ease traveling up- and down-stream, has had repercussions on the natural landscape. However, after these changes, people began to notice that the wildlife of rivers and streams began to decline. The fish that once made these rivers so valuable were decimated, the insects which the fish fed upon gone. Many land managers and researchers believed the reduced wildlife was due to the reduced availability of habitat for these animals. By removing trees from the rivers, the waters became much more streamlined and homogenous. While fish such as the brown trout, need fast flowing highly oxygenated rivers, sections of the river with low flow rates provide excellent habitat to avoid predation as well as an easy source of food. So, across the globe, people began to leave fallen trees in the river with high hopes to improve the riparian ecosystem. And sure enough the wildlife communities returned. Wikimedia Commons: Wensum RIver, Norwich, England. While these are results are promising, this hypothesis that fallen trees improve river habitat-quality needed to be scientifically supported. This is where Thompson and his colleagues come in. They conducted in an experiment with both controlled and manipulated sections of a river to understand how fallen trees impact wildlife communities. 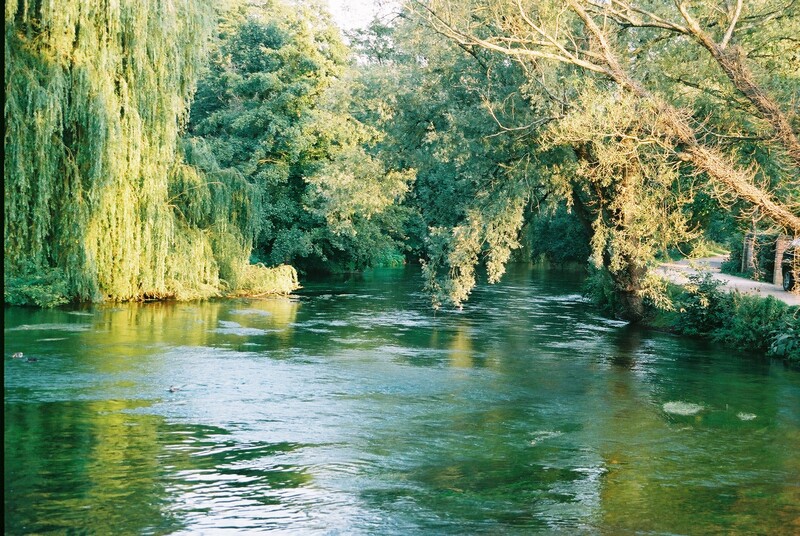 To study these river dynamics, Thompson and his colleagues focused on fallen trees in the rivers of England. Thompson and colleagues quantified invertebrate, algal and fish communities within five rivers throughout the lowlands of the United Kingdom. They sampled three different areas of each river to understand how human activities impacted the quality of these rivers. They sampled algal, insect and fish communities from “target”, “restored” and “control” areas with transects and electrofishing methods. Target areas were ideal, natural conditions untouched by civilization. Restored areas were sections of river that were once heavily managed but within the past 5 years, fallen trees were permitted to remain in the river flow. Control areas are those which are still heavily monitored, and removal of felled trees is ongoing. By understanding how the biological communities were structured in these three areas, Thompson expected to gain concrete evidence of how fallen trees impact river ecosystems. Wikimedia Commons: Swans with large brown trout in the River Test, Hampshire, England. Success! The research suggested that fallen trees after just three to five years can lead to improvements in habitat quality. Compared to the control areas, the restored and target areas had a higher diversity of insects in the river streams. These abundant critters not only consumed the high levels of algae in the water, increasing water quality and clarity, but they also were a food source for many predators already swimming around these fluvial highways. Brown trout, Salmo trutta, increased in target areas and nearly doubled in restored areas. The fish were able to increase their abundance by utilizing the fallen trees to facilitate insects coming their way for consumption but also to avoid predation from birds of prey above the water surface. As the rivers were manipulated to a more “natural” state, several levels of the food web increased in abundance and diversity, simply by felled trees. This study is critical evidence that rewilding, even within 3-5 years, can improve habitat quality of human-impacted rivers. This work by Thompson and colleagues should encourage future restoration projects to improve the quality of rivers and streams throughout the world and return natural populations to where they once thrived.